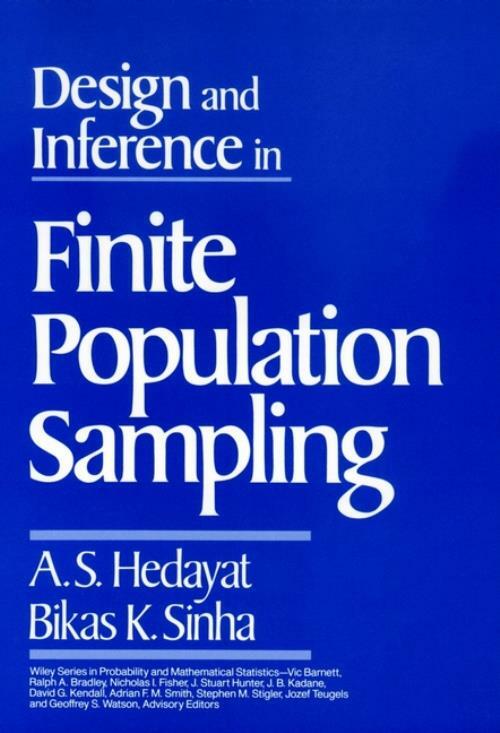 Covers a new but essential development in the field of population sampling, namely inference in finite sampling. Offers some important topics not found in other texts on sampling such as the superpopulation approach and randomized response, nonresponse and resampling techniques. A Unified Setup for Probability Sampling. Inference in Finite Population Sampling. Simple Random and Allied Sampling Designs. Uses of Auxiliary Size Measures in Survey Sampling: Strategies Based on Probability Proportional to Size Schemes of Sampling. Uses of Auxiliary Size Measures in Survey Sampling: Ratio and Regression Methods of Estimation. Superpopulation Approach to Inference in Finite Population Sampling. Randomized Response: A Data–Gathering Tool for Sensitive Characteristics. Special Topics: Small Area Estimation, Nonresponse Problems, and Resampling Techniques.